“We had him for 7 years, 9 months, and 23 days… God now has him forever.” Turn the dial ahead fifteen years to today. And, instead of thinking about this tragic loss — imagine a gain. Because that is what Carter Martin wanted you to do. In his dying days, literally, he asked his mom to give the pennies from his piggy bank for the fight against childhood cancer, because he didn’t want anyone else to suffer like he had. The pennies from Carter’s bank served as an initial investment that has turned into a six million dollar endowed fund at the AFLAC Cancer Center at Children’s Healthcare of Atlanta entitled the Carter Samuel Martin Chair for Developmental Therapeutics. This endowment has been building momentum for childhood cancer research for the past 15 years due to thousands of people emptying their piggy banks and writing checks for amounts way beyond what Carter would have ever imagined. In hopes of continuing this momentum, Carter’s parents decided to create The Carter Martin Fund at CURE Childhood Cancer. Because the AFLAC Cancer Center at Children’s Healthcare of Atlanta works closely and diligently with CURE Childhood Cancer, it was the natural and logical fit. Curing this disease in our lifetime is the common goal. Carter Martin’s loved ones, and people from all walks of life have made sense out of a tragedy like this by turning it into something way bigger and more positive than the loss of a child. The Carter Martin Fund at CURE Childhood Cancer can be a living symbol of Carter’s dream to make cancer go away. The opportunity is yours to give as much or as little as you can to help us find a CURE—to keep the momentum going. For Carter Martin. For your loved one. Today. “There’s nothing else we can do,” should not be words that any parent has to hear when discussing treatment options for their child. In February, 2004, after being off treatment for only 2 months, Carter relapsed. His loved ones lived the nightmare of being told there were little to no treatment options that were proven to be successful upon relapse with Ewing’s sarcoma. It was most assuredly a death sentence for 7 year old Carter…“focus on quality of time with Carter, not quantity.” Several therapies were tried—not one worked. 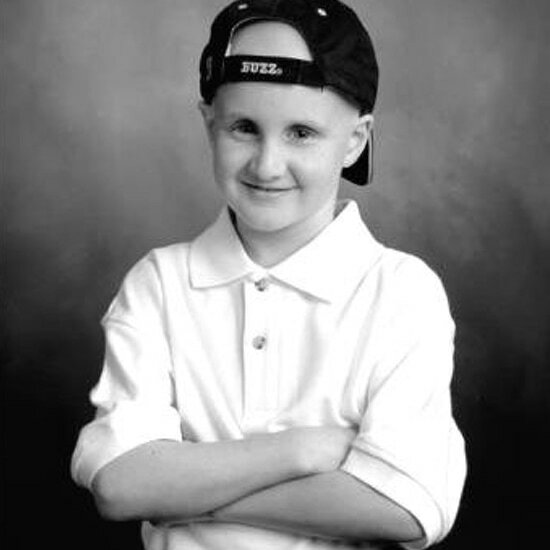 Sadly, 15 years later, not a lot has changed for children who relapse with Ewing’s sarcoma. The Carter Martin Fund at CURE Childhood Cancer hopes to change that by allocating monies to Ewing’s sarcoma research so that Carter’s dream can become a reality.